When spring blooms in Copenhagen, all the dark winter months are immediately forgotten. With the first sight of the yellow blossoming påskeliljer (Easter flowers), Danes take to the great outdoors, with fresh air and Vitamin D on the mind. But where are they off to explore? Read on to find out where the top ten spring hangouts are in and around Copenhagen – most of them you can bike to! Canals of Christianshavn: While some Copenhageners take to Nyhavn’s scenic canals, others skip over to Christianshavn, as it is the quieter, quainter Danish sibling of the two. 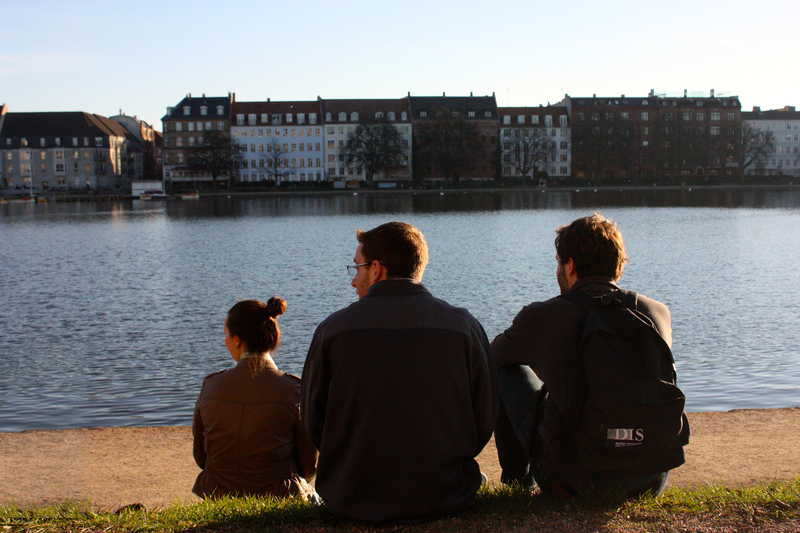 Just over the Knippelsbro (bro meaning bridge) from city center, this canal spot is ideal for having an impromptu picnic with friends from your DIS Buddy Network. Christianshavn’s canals are populated with ships and complimented by the backdrop of old Danish architecture, much like Nyhavn, but without the buzz of out-of-towners. With numerous bakeries and markets in sight, break out the fresh bread, dangle your legs over the water, and let the good conversations roll! Dyrehaven (Deer Park): Mystical nature, wild deer, and the Erimitage castle are all waiting to be found at the Deer Park in Klampenborg, a thirty-minute train ride outside of Copenhagen. This large park is situated next to the ocean and Bakken, the oldest amusement park in the world – and still a blast! The deer happily hang around in herds under large, overhanging oak trees. The beautiful view and storybook settings make it no wonder that the DIS Student Photographers love to escape from the city to take photos here! Kongens Have (King’s Garden): The central location of Kongens Have tempts Danes of all ages to meet here and is only a brief walk or bike ride away from DIS: Just imagine a park of grand green lawns and blooming gardens surrounding a picturesque castle, with bikes lining the exterior fence, viking games like Kubb being played by families on the lawn, puppet shows entertaining children, and friends catching up over picnics. 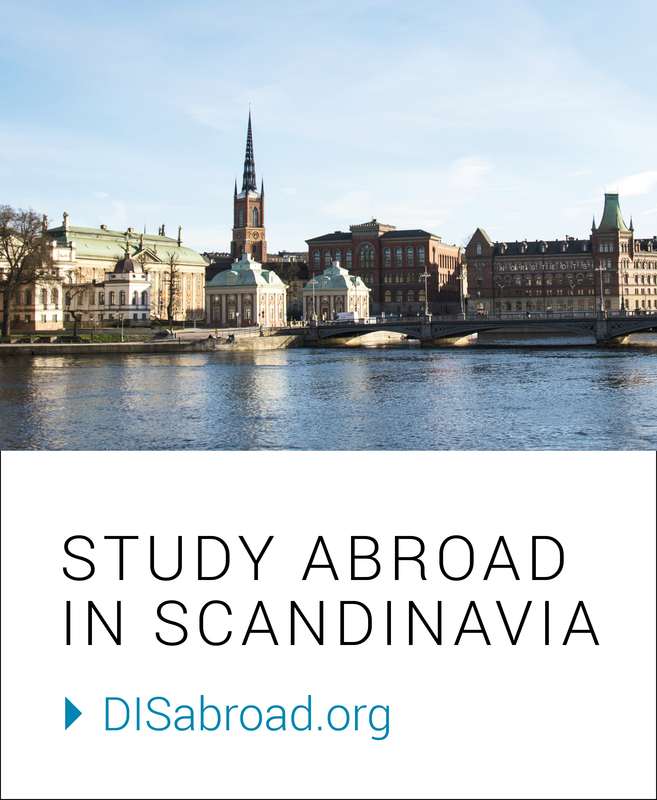 We suggest taking your homework here for an afternoon, as the scenery is sure to inspire you to think outside the box, and you might meet some young Danes to share a viewpoint with! Louisiana Museum of Modern Art: It’s no secret that the Louisiana Museum of Modern of Art has a spectacular art collection year round, with innovative exhibits taking turns each season. Follow the Arts & Culture Living & Learning Community’s lead and spend a Saturday morning with Picasso, and after all your art yearnings are satiated, traipse outside to enjoy lunch with a view of Sweden on their ocean front. Make sure to pose and take a photo beside the widely recognized and modern sculptures parked in the grass. Islands Brygge (‘brygge’, meaning ‘wharf’ or ‘waterfront’): Islands Brygge is an approximate seven-minute bike ride from DIS, so this place can be your go-to spontaneous afternoon outing! New to the city as of the last ten years, this is a popular outdoor green space right beside the harbor where Copenhageners of all ages – families, friends, couples, and colleagues– soak up the sun, BBQ, and enjoy their easy access to Copenhagen’s clean harbor with a swim. DIS fall students just catch the last few weeks of the season for Islands Brygge’s harbor baths – and they take advantage of every last moment! Dronning Louises Bro (Queen Louise’s Bridge): Dronning Louises Bro, a bridge that connects inner city Copenhagen to the hip neighborhood of Nørrebro, might be more than 100 years old, but is still the height of fashion as a city hangout spot! Young Copenhageners bring life to the bridge all day long, even past sundown. 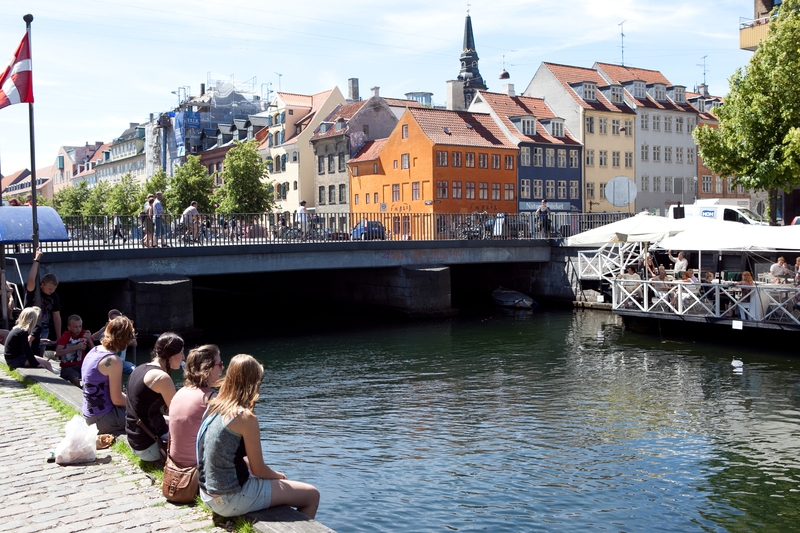 With Danish music emanating the scene, Danes sit along the bridge and take in the city’s gorgeous lake surroundings. 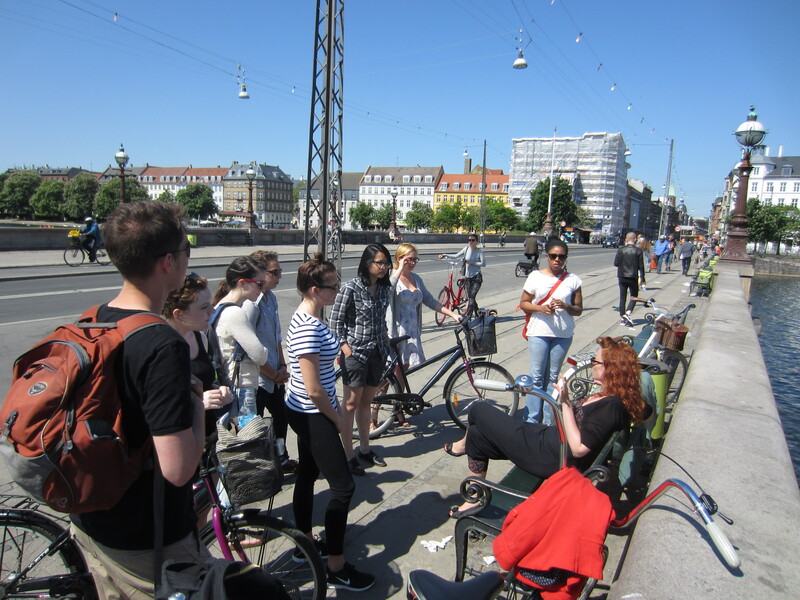 During the Livability in the Modern City bike tour, DIS faculty Bianca Hermansen always stops to share the significance of the bridge with her students, as she recognizes it as one of Copenhagen’s most-loved people-watching locations in the city. Assistens Kirkegård (Assistens Cemetary): At first thought, hanging out in a cemetery is the last place you want to be on a bright spring day. Yet if you ask the Danes about this particular cemetery, they’ll say it’s an exception to the rule. The residents of Nørrebro (a part of Copenhagen, just north of the lakes) find it to be essential green space in their neighborhood. 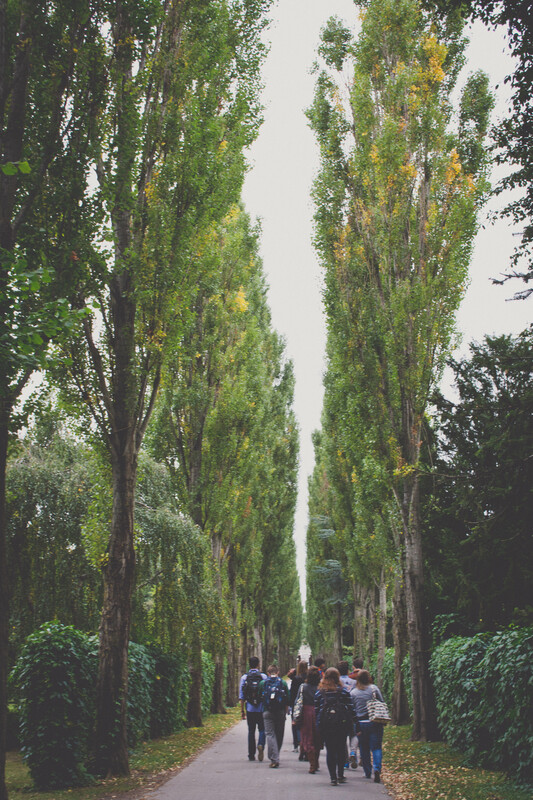 Tall uniform trees line the center of the park, making it undoubtedly picturesque to glide through on a bike. On either side of the trees are burials with names of famous Danes, including the classics: Hans Christian Anderson and Søren Kierkegaard. With the sun shining bright, a blanket from your bike basket is all you’ll need to settle down with a good book. Just ask faculty from the Danish Language and Culture course, many of whom visit Assistens Cemetery for a Wednesday field study each semester. With a picnic in the cemetery, students immerse themselves in Danish history by reciting poems and tales by those buried there. Superkilen Park: Tucked into the depths of Nørrebro is Superkilen Park, a playground designed for all ages, and more specifically, for all backgrounds. The park’s neighborhood is home to more than 60 different nationalities, an idea that the urban designers wanted to celebrate. Its zany aesthetics engage urban dwellers passing through – something Henning Thomsen presents to students in the European Urban Design Theories course, who often take a walking tour to Superkilen to observe how the space shapes social interaction. Fælledparken (The Common Park): Fælledparken populates much of Østerbro, a neighborhood just east of inner city Copenhagen. 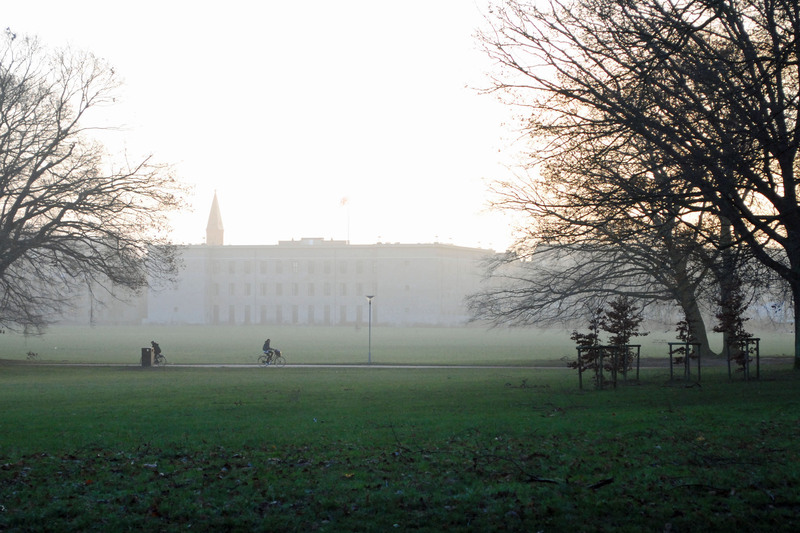 Home to Copenhagen’s Football Club (FCK), this park fills with people waiting to see a Sunday match. But when football isn’t on the agenda, Fælledparken is a great open space to toss a football or kick a soccer ball around. 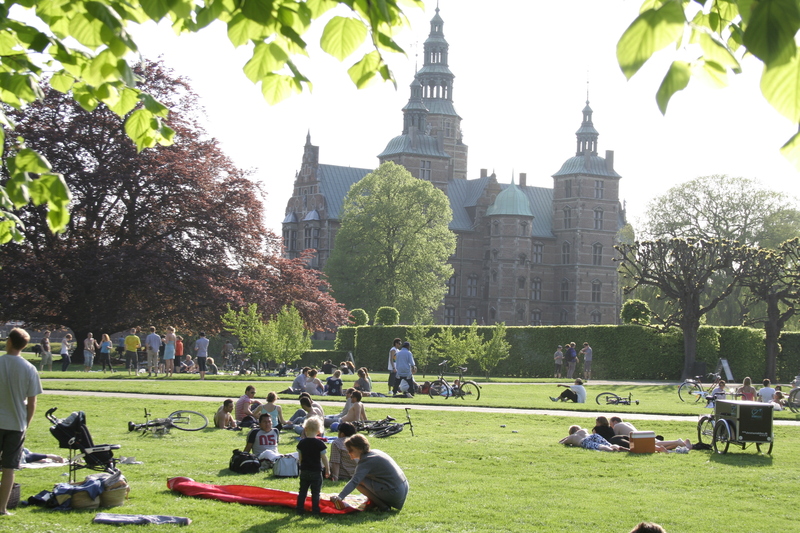 As the oldest and largest park in Copenhagen, it’s the ideal place to celebrate May Day, on the first of May. Also known as International Worker’s Day, May Day is time for the people of Copenhagen to hear from local politicians and engage in discussion about current hot topics. Danish Language and Culture students often visit the park on May Day, to see what the ruckus is all about, and join in on the tee-shirt weather that we hope for each year! Your Danish backyard: Danes that live in the suburbs of Copenhagen love to hang out in their backyards and grill while visiting with friends. DIS Student Blogger, Anna Cobus can already vouch for this kind of company, since she recently made bread with her Visiting Family over an open fire, a Danish tradition called snobrød. Read about Anna’s ‘family shenanigans’ here! Previous Face to Face with Faculty: Brian Söderquist, Ph.D.